Dan Flavin : the architecture of light. Flavin, Dan ( 1933-1996)New York : The Solomon R. Guggenheim Foundation : distributed by Harry N. Abrams, 1999. Dan Flavin : icons / text by Corinna Thierolf and Johannes Vogt. Thierolf, Corinna.Munich : Schirmer/Mosel, 2009. Dan Flavin : untitled (for Lucie Rie, master potter) 1990 themes and variations : [exhibition]. Flavin, Dan ( 1933-1996)London : Waddington Galleries, 1990. Dan Flavin, Fluorescent Light, Etc. From Dan Flavin/Dan Flavin, Lumiere Fluorescente, Etc. 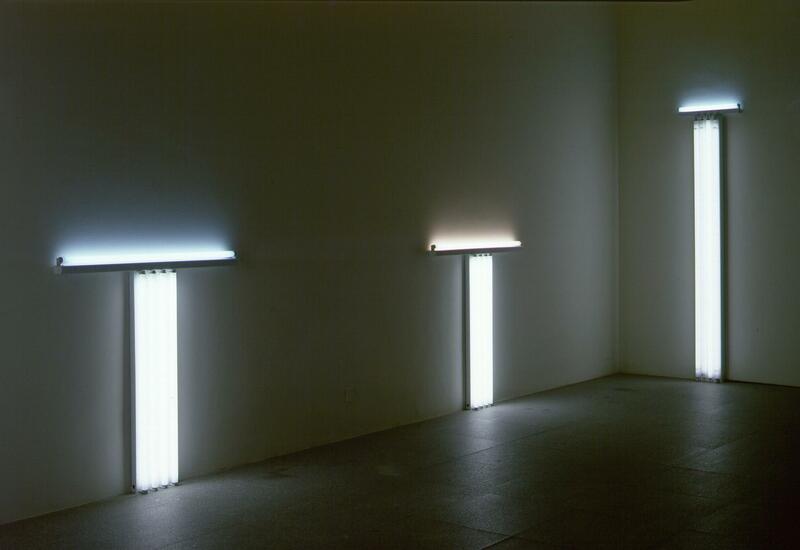 Par Dan Flavin. / Dan Flavin. Flavin, Dan ( 1933-1996)Ottawa : National Gallery of Canada, 1969.